In the shifting narratives of the Trump-Russia probe, a Maltese academic named Joseph Mifsud has remained a linchpin regarding claims of collusion. He is the professor who allegedly told Trump campaign adviser George Papadopoulos that the Russians had emails related to the Clinton campaign. The FBI says it opened its investigation in late July 2016 after Papadopoulos relayed that information to Australian diplomat Alexander Downer, and the Australians tipped off U.S. authorities. While some news accounts describe Mifsud as an accomplice to Russian clandestine operations or a “cut-out” (intermediary), others contend he is a full-fledged Russian spy. No one in the American intelligence community has publicly challenged this description. But there is one major problem with this story: No evidence has been presented to support the claim. Although Mifsud has traveled many times to Russia and has contacts with Russian academics, his closest public ties are to Western governments, politicians, and institutions, including the CIA, FBI and British intelligence services. One of Mifsud’s jobs has been to train diplomats, police officers, and intelligence officers at schools in London and Rome, where he lived and worked over the last dozen years. If Mifsud truly is a Russian agent – which is key to the collusion narrative – he could prove to be one of the most promiscuous spies in modern history. Western intelligence agencies and European politicians would have to spend the next few decades repairing the damage he did to global security by infiltrating key institutions and personnel. As of yet, however, there is no indication that any intelligence service has begun the embarrassing, but highly important, assessment of how it was penetrated and how it can re-fortify the vulnerabilities that Mifsud may have exposed. There has been no public effort to arrest him. While most media accounts have simply repeated official claims that Mifsud is a sketchy character whose visits to Russia and academic contacts suggest he is working for Russian intelligence, a look at the available evidence challenges that narrative. It also raises the possibility that Mifsud, whose circles are tied to the Clintons, may, like another professor recently in the news, Stefan Halper, have actually been working for Western intelligence agencies. Painting a full picture of Mifsud is difficult because after the 58-year-old professor was first identified by name in a Washington Post article in the weeks following Papadopoulos’ confession, he gave a few interviews to the international press, and then disappeared. Rumors circulated in the press that the Kremlin-linked professor may have been recalled to Russia or was liquidated. There is plenty of open source material that supports their thesis. 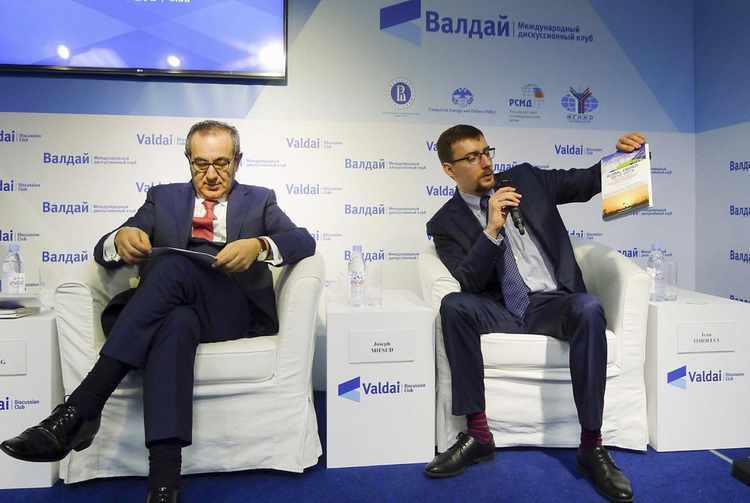 Joseph Misud, left, at an event of the Valdai Discussion Club, a Moscow-based think tank, with Ivan Timofeev, a Russian academic. Photo at top: The Link Campus University in Rome, where Mifsud taught Western diplomats and intelligence officials for years. According to his resumé, Mifsud received his BA at the University of Malta in 1982, an MA at the University of Padua in 1989, and later his doctoral degree at Queen’s University Belfast. He worked at the Ministry of Foreign Affairs in his home country of Malta and was involved in its 2004 accession into the European Union. In 2008, Mifsud was named president of the European-Mediterranean University of Slovenia. Contrary to media reports depicting Mifsud as a shadowy figure – an Oct. 31 2017 article in the New York Times, for example, says Mifsud “presented himself as a professor” although “his academic affiliations are hard to pin down” – he was a respected teacher and employed by legitimate academic institutions. He taught at Link Campus University in Rome (photo at top), whose lecturers and professors include senior Western diplomats and intelligence officials from a number of NATO countries, especially Italy and the United Kingdom. Mifsud also taught at the University of Stirling in Scotland, and the London Academy of Diplomacy, which trained diplomats and government officials, some of them sponsored by the UK’s Foreign and Commonwealth Office, the British Council, or by their own governments. He also taught at the London Center for International Law Practice, where Papadopoulos was also affiliated. They met, however, in Rome in March 2016 when Papadopoulos was part of a visiting delegation from the London Center and Mifsud was in the Italian capital. Most of their subsequent meetings were in London, including the April 26 breakfast when Mifsud is alleged to have told Papadopoulous that the Russians had dirt on Clinton in the form of thousands of emails. Researchers, including British political analyst Chris Blackburn, have used open sources to show that Mifsud was a well-known figure in Western academic, diplomatic, and intelligence circles. Blackburn, whose research has previously focused on Islamic terrorist groups, has worked with senior leaders within global intelligence agencies. He told RealClearInvestigations that Mifsud’s known contacts suggest he’s not a Russian spy – or he is one of the most successful in history. 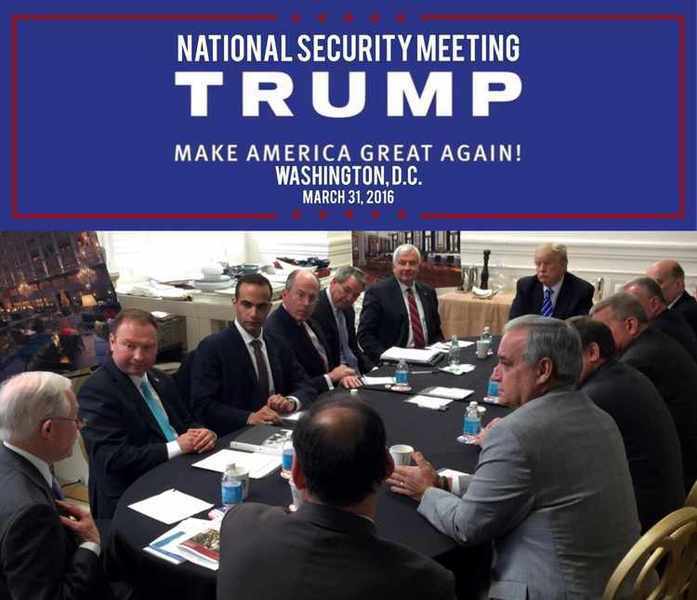 In an image from President Trump's Twitter account, George Papadopoulos, third from left, sits at a table with then-candidate Trump and others in 2016. Shortly after the FBI opened its counterintelligence probe based on the Papadopoulos information on July 31, the lead agent on the case, FBI Deputy Director of Counterintelligence Peter Strzok, went to London to investigate. Smith is a prominent British diplomat whose biography describes her as an envoy with 25 years of experience and “expert in managing the complexities of global business practices.” Her postings included Beijing and Islamabad. Former Italian Foreign and Interior Minister Vincenzo Scotti, who is said to have told Mifsud to hide. Moreover, explains Blackburn, if Mifsud proved to be a spy, he would’ve compromised a number of high-level European intelligence and diplomatic officials the professor worked with in London and Rome. They include Gianni Pittella, an Italian senator who was previously a member of the European Parliament, where he headed the Socialists and Democrats alliance, one of the Parliament’s most important left-wing blocs. “Joseph is my dear friend,” Pittella told the Italian press in November after news of Mifsud’s alleged involvement in the Russiagate scandal spread. Pittella was a visiting lecturer when Mifsud was director of the London Academy of Diplomacy and is on the Link Campus Foundation's board. Link offers degrees in strategic studies and “diplomatic science.” Blackburn says that among the students who attend Link are police officers from around Europe, especially Italy, Malta, and eastern European countries, as well as a large contingent from Brazil. 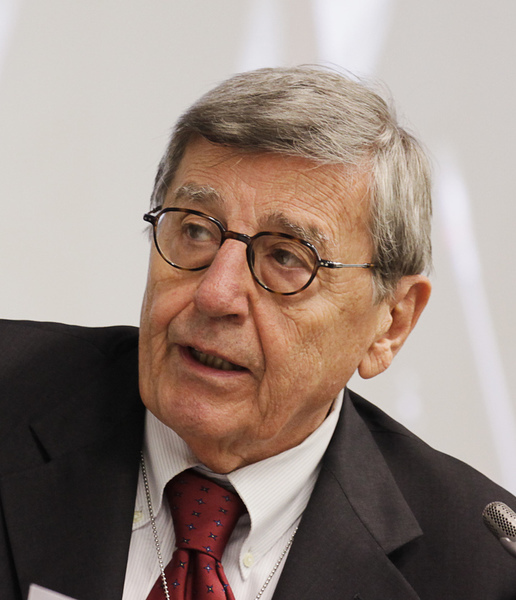 Link’s president is the former Italian interior minister, Vincenzo Scotti, who is alleged to have told Mifsud to hide. 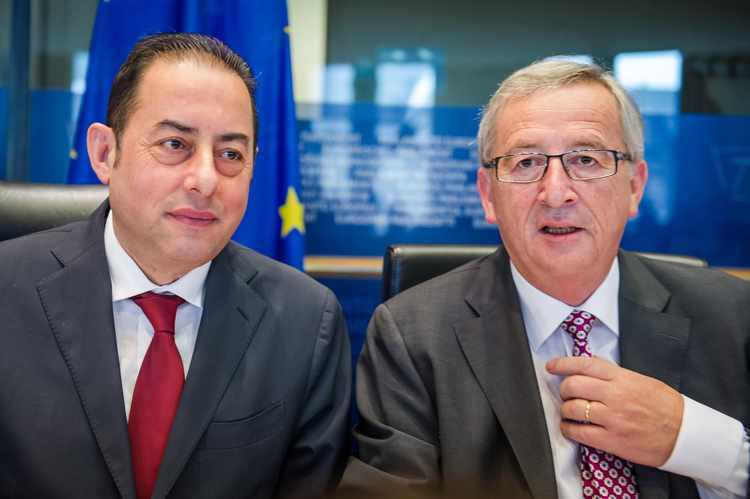 Leftist Italian politician and Mifsud friend Gianni Pittella, left, in Brussels in 2014 with Jean-Claude Juncker, now president of the European Commission. The CIA has held widely publicized events at Link. In 2004, for instance, the CIA arranged a conference on terrorism there. “‘New Frontiers of Intelligence Analysis,’" wrote David Ignatius in the Washington Post, “brought together officials from intelligence and police agencies of nearly 30 countries.” A 24-year veteran of the CIA named Carol Dumaine, wrote Ignatius, “spent two years arranging the conference with the Link Campus of the University of Malta in Rome.”American intelligence and law enforcement officials are also involved with Link. Former National Security Agency and Central Intelligence Agency officers and analysts regularly teach there. The FBI has trained students at Link since 2010. In September 2016, or two months after the FBI opened its Russia investigation, the FBI’s legal attaché working out of the U.S. Embassy in Rome sent Special Agent Preston Ackerman to conduct a seminar at Link. FBI spokespersons did not respond to requests for comment on the bureau’s past history with Link or Ackerman’s seminar. In another of the loose threads connected to the Russia inquiry, an FBI colleague of Ackerman’s at the embassy in Rome, Michael Gaeta, was the bureau’s pointman for Christopher Steele, the former British spy who is believed to be the author of the now infamous dossier paid for by the Clinton campaign alleging the Trump team’s ties to Russia. When Steele first started uncovering Trump’s alleged connections to Putin, he reached out to Gaeta, whom he had known from a previous investigation. In July 2016, Steele summoned Gaeta to London to brief him on his Trump findings. And in October, Gaeta called Steele to Rome. According to a Washington Post story, the FBI team there asked Steele if he’d ever heard of Papadopoulos and Steele said he hadn’t. Does that mean the FBI knew the source of Papadopoulos’ information regarding the Clinton emails? If not, they missed a central Russiagate figure who worked only a short cab ride away. Conversely, if they did know Mifsud and thought he was a Russian agent, why did the bureau continue to send agents to teach at Link, with which he had been affiliated for nearly a decade by the time of the Papadopoulos affair? Both the bureau and the CIA were constant presences at the school; surely they’d run across Mifsud before. Many others that the FBI worked with knew him — from high-level British intelligence officials to members of the Italian cabinet. If Mifsud was a Kremlin-linked cut-out, why didn’t the FBI warn the U.S.’s European partners, or even U.S. government agencies, about the man who was at the center of Russiagate? If He Is a Spy, Why No Action? If Joseph Mifsud truly is a Russian agent, it is odd that neither the Western intelligence agencies he snookered nor the U.S. government is acting as if he is. For instance, the FBI interviewed Mifsud in Washington, D.C., between Feb. 8-12, 2017, less than two weeks after its first interview with Papadopoulos, on Jan. 27, when he admitted to meeting Mifsud and talking about Hilary Clinton emails. Mifsud was in Washington to speak at the large annual conference for Global Ties U.S., an organization that has been a partner of the U.S. State Department for over 50 years. Several State Department officials also spoke at the conference. France’s ambassador to Washington, Gerard Araud, was one of several foreign envoys to the United States who lectured at the 2017 event. So why did the FBI not arrest Mifsud? The State Department declined to comment when RCI emailed to ask why it did not prevent its officials from appearing at an event with a “Kremlin-linked” figure who was key to Russia’s effort to interfere in the 2016 election. If Mifsud was a Russian spy, it’s unclear why after Papadopoulos’ July 27, 2017 arrest that no U.S. intelligence officials warned their European partners that they were hosting a foreign agent on their territory. Mifsud met with many senior British politicians, even after the FBI knew of the Downer conversations, and had interviewed Papadopoulos under oath. Mifsud met Alok Sharma, then a Foreign Office minister for Asia/Pacific, and now minister of state for employment, “a couple of times” at least, including at a fundraiser Oct. 19, two weeks after Papadopoulos’ Oct. 5 guilty plea. At that same fundraiser, Mifsud was photographed next to Boris Johnson, the UK foreign secretary, the most senior intelligence official responsible for running MI6, the UK’s foreign intelligence service, and Government Communications Headquarters, the UK equivalent of America’s National Security Agency. The office of the special counsel, Robert Mueller, declined to comment when RCI emailed to ask if it alerted the UK government about Mifsud after Papadopoulos’s arrest. British government agencies did not respond by press time to requests for comment about whether the UK had been warned by its U.S. partners about Mifsud before the foreign secretary and other senior politicians mingled with an alleged Russian agent. It appears that U.S. intelligence authorities may have been just as unconcerned about keeping their Italian counterparts informed. For even after the Washington Post revealed his name Oct. 30, Mifsud was giving interviews to the Italian press two days later in the middle of Rome denying that he’d told Papadopoulos anything about Clinton emails. 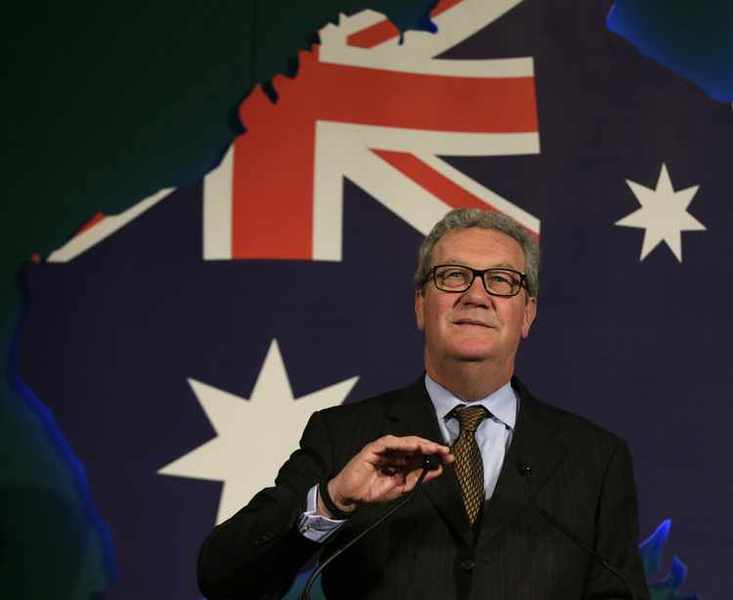 Australian diplomat Alexander Downer, who had a fateful 2016 meeting in London over drinks with Trump campaign adviser George Papadopoulos. When asked if any action was taken to extradite Mifsud or even interview him further in Europe, the office of the special counsel declined to comment on an ongoing investigation. The office also declined to answer why Mifsud has not been charged. Mueller indicted 13 Russian individuals and three Russian companies for their involvement in a pro-Russian social media campaign during the 2016 campaign cycle. But the “Kremlin-linked” individual that is alleged to have passed the Trump team information about Russia’s interference in the election is at liberty. Roh described Mifsud to me as a bridge-builder, between people and institutions, West and East. That’s why he hired Mifsud in 2015 as a business development consultant. The professor boasted of his contacts with Russian academics and got Roh on a panel discussion at an April 2016 symposium in Moscow that was sponsored by the Valdai Discussion Club. Their panel discussion, centering on energy security issues and Russia’s position in the global energy market, was moderated by Ivan Timofeev, Valdai’s program director. Timofeev was part of Mifsud’s broad international network of academics and researchers. Mifsud had connected Roh and Timofeev on a previous trip to Russia the year before. George Papadopoulos apparently saw Timofeev as a conduit to Russian state power. Again Mifsud played the connector, introducing Papadopoulos to Timofeev by email in the middle of April 2016. The Trump adviser and Russian researcher communicated for several weeks by email and Skype, according to Papadopoulos’ plea, to “lay the groundwork” for a “potential” meeting between the Trump campaign and Russian officials. Papadopoulos, as excerpts from his emails at the time show, was single-mindedly determined to arrange a meeting between Trump and Putin. The Trump campaign had prioritized re-setting relations with Russia, as had the Obama White House before it, as well as every presidential administration since the end of the Cold War. Papadopoulos may have thought the best way to materialize a campaign promise, and advance his station, was to arrange a meeting that any experienced foreign policy hand would have considered highly improbable. The Russian president, like virtually everyone else in the world, believed Hillary Clinton was destined to be the next president of the United States. Putin would be unlikely to meet with her opponent and further alienate a future world leader who had already shown her disdain for his government while she was secretary of state. Roh and Pastor told me that Mifsud found Papadopoulos too aggressive. Both Mifsud and the Trump campaign adviser half his age were ambitious, quick to seize an opportunity, and eager to be accepted and prove they belonged. Mifsud appears to have been something like a foreign policy impresario. One of his sources of income, he explained to Pastor, comes from chairing foreign policy panels. He traveled the world to rub elbows with prominent figures from the global policy community. At a 2009 conference sponsored by the Italian foreign ministry and the Brookings Institution, for instance, Mifsud appeared alongside well-known U.S. foreign policy experts such as former Clinton administration Deputy Secretary of State Strobe Talbott. As a foreign policy specialist from a small island nation that typically served as the steppingstone of empires, Mifsud appears to have an acute sense of power and how to position himself favorably. It seems he saw an opportunity in Roh, a multimillionaire who was as interested in foreign policy, diplomacy, and intelligence work as he himself was. Mifsud wanted him to invest in Link Campus. Roh was surprised that the FBI detained him for questioning at JFK Airport when he brought his family to New York in October 2017 on a holiday. But Roh, whose wife is a Russian fashion designer, found it remarkable that “they didn’t ask me a single question about Mifsud, then after an hour or so I asked, ‘This is about Joseph, right?’ I told them he’s a great guy." It was after the Mueller interview, Roh said, that he decided he needed to set the record straight, and retrace his relationship with Mifsud and the events that led to Russiagate. That’s when he and Pastor resolved to write a book. According to Roh and Pastor’s book, Mifsud believes he was set up, and that George Papadopoulos was part of the sting operation. Roh and Pastor think so, too. Papadopoulos’ wife, Simona Mangiante, dismissed the idea her husband was a spy in an Atlantic magazine article. Mangiante knew Mifsud as well. She reportedly started working for the Maltese academic at the London Center for International Law Practice in September 2016, before she met her future spouse. According to Roh and Pastor’s book, however, he’s part of an international clique that identifies itself with the values and causes represented by the Clintons and their various enterprises. If Mifsud was a Western intelligence asset, as Roh and Pastor argue, it’s still unclear what his role may have been in the Papadopoulos case. Congressional investigators on the Republican side speculate that Mifsud may have been part of a sting operation designed to open an FBI investigation on the Trump campaign. Roh and Pastor may be overstating Mifsud’s role when they refer to him as an asset. Maybe he was more like a “cat’s paw,” a person used by someone else to carry out a job for ends and results of which he was unaware. Mifsud’s role then was to pass information, or simply take meetings, that would dirty Papadopoulos. Or the Maltese professor truly is a Russian spy. If so, Western intelligence services are looking at one of the largest and most embarrassing breaches in a generation. But none of the governments or intelligence agencies potentially compromised is acting like there’s anything wrong. Or he might just be a man who wanted to seem important by repeating a rumor he’d heard to another man who also wanted to seem important. It’s still unclear who may have put him in the middle of a political scandal and for what purposes.